The NAMM Show (the National Association of Music Merchants) is upon us once again. If you have no idea what this is, it's an annual trade show extravaganza held each January in Anaheim. Last year, over 100,000 people passed through the Anaheim Convention Center according to their tally. That's to say: it's big. In preparation for NAMM this year, Stephen and I are giving you, our illustrious blog readers, the first glimpse at our NAMM roll-outs this year. This year, we've got a larger booth, and we'll have some great people helping out showing off our gear. Stop by and say hello to us and our pals! We're in booth 10702 in the A wing. You'll know you're close when you find modular synthesizer mayhem. Bin Seq: a 4 HP switchable gate sequencer. Muta Jovis: 4 HP switchable quad mute. Works well with Noise Eng rhythm generators such as Numeric Repetitor and Zularic Repetitor. Soleo Vero: that 4 HP tuner we've been talking about for a while? It's coming! A patch-through stroboscope tuner. Tune up to three oscillators without having to patch/unpatch. The stroboscope makes it possible to tune without sound on! Very quick teaser video of the new additions to the NE family. Edit to your heart's content, and return to your initial pattern (like a chorus!) with the touch of a button. And it wouldn't be a Noise Eng product if we didn't give you lots of CV control! Equally quick teaser video. More videos & details coming soon! But that's not all. At NAMM, we're also showing our foray into the 5U format. We'll have Basimilus Iteritas Magnus on hand, but we are pleased to announced that we will be releasing three of our oscillators: Basimilus Iteritas Magnus, Cursus Iteritas Magnus, and Manis Iteritas Magnus in 5U. Look for those for simultaneous release in the next few months. 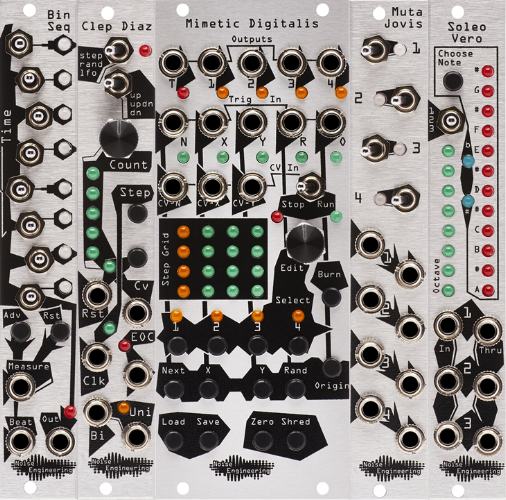 For those of you paying attention, a portion of the proceeds from the Manis Iteritas Magnus, like the Eurorack version Manis Iteritas, will be donated to Save Pangolins.org. Buy a module, save an endangered species! And finally, we are announcing the release of ten limited-edition, unique 60-hp cases. 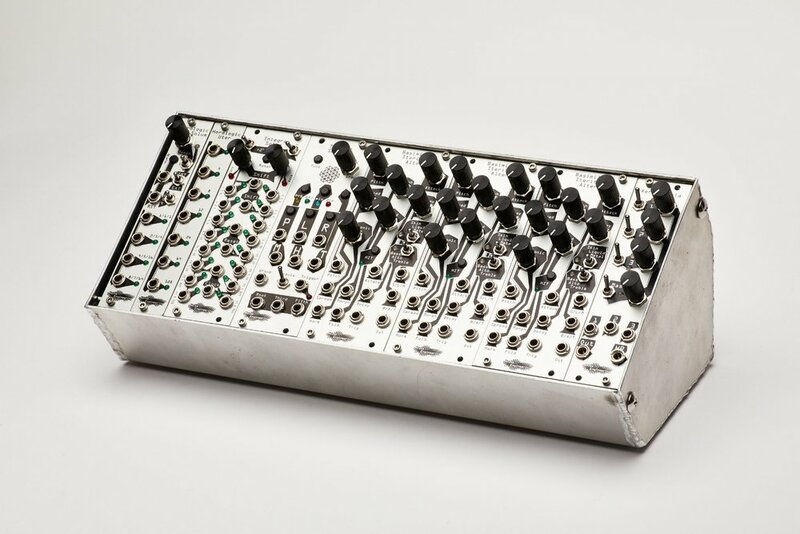 Each case is handmade of aluminum and will come with a power supply and a different, bespoke set of Noise Engineering modules. Available only at www.noiseengineering.us, cases will be released over the next few months. Watch our social media and mailing list for details. We're looking forward to seeing a lot of users and retailers at NAMM. If you're at the show, please stop by and say hello! We're at booth 10702. Not at the show but have something to say? Drop us a line.